Purchasing this item will earn you 914 reward points (Reward Points Rs. 91.40) ! Purchasing this item will earn you 914 Rewards points (Rs. 91.40) ! There’s a whole debate to be had over which microphones to use, what software to use on your PC, how to soundproof a room, and so on. But what often gets overlooked is taking the sound from a studio quality microphone and getting it into the software in the first place. Most computers, be they Mac, PC, laptop, or anything else you can think of, tend to come with a standard set of ports. As far as audio goes, you’ll usually get two 3.5mm sockets – microphone and headphones. Occasionally you’ll get even less, and get a 3.5mm socket for a combined microphone and headphone device, the kind you would use for making hands-free calls on a phone. This is not ideal for recording quality audio! Developed in 1990s, the USB interface has gone through several revisions and has become the primary connector for most devices on the market today. As the USB specification supports sound devices, it is an ideal connector to improve the audio specification of your device. You can purchase USB microphones and plug them straight in, vastly improving the recording capabilities of your device – but you’re stuck with them exactly as they are. USB microphones are just that – microphones with a USB connector. They vary in quality, and you’ll sometimes pay a premium for the convenience of having USB. Many professional microphones have the XLR connector, or alternatively the 6.35mm jack connector. Most instruments that use a cable to transmit audio will have the same type of connector, none of which will attach to computer directly. This is where a USB audio interface comes in handy. It’s a box that connects via USB to your device, and by XLR or jack plug to your microphone or instrument. There are quite a few on the market, so which is the best choice for you? Manufacturers have learned that there is a common size that is appropriate for these devices, and so companies like Focusrite, PreSonus, and Steinberg all make boxes that look quite similar, but can be radically different in terms of available features and price. Take for example the Steinberg UR 22 mk 22, the Focusrite Scarlett 2i2, and the PreSonus AudioBox iTwo. All three feature two audio inputs (combined XLR and jack sockets) and two audio outputs (jack outputs), but the 2i2 does not have the MIDI ports of the other two devices. However, it does come with Avid ProTools, and a selection of plug-ins to enable guitar effects and amp emulations in software. 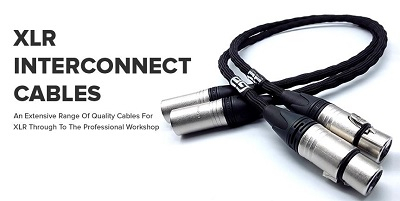 The connectors of these devices allow the recording of two inputs at once, which can be two microphones, two guitars, a guitar and a microphone, or any other combination of two cabled instruments you can think of. Monitoring is available through the external output ports or through the headphone connector, with the Scarlett 2i2 having the lowest reported latency of all three. What does this mean? Simply, latency is the amount of delay between playing a note and hearing it – if the latency is too high, you’ll be on to the second or third note before you even hear the first, making it very hard to play and listen at the same time. This is massively important, as you will need to hear what you are playing, as you play it. Each device features a reliable preamp, and phantom power is available on all three. The iTwo (as the name might suggest) is geared far more for working with the iPad and the Capture Duo app. The Duo app is free, and simply records in stereo, while the 32 track “Capture for iPad” is a separate purchase. Both can send their recordings to the Studio One production software, available for Windows and Mac. The audio quality also varies – the AudioBox device samples at 48khz, with the Focusrite Scarlett 2i2 samples at up to 192khz. Each of the three USB audio interfaces named above are a small part of the range for each manufacturer. The AudioBox USB 2x2 is very similar to the AudioBox iTwo, but without the iPad support. Because of this, it’s a lower price – as always, you get what you pay for. It’s still a great piece of kit, but doesn’t do everything the iTwo can do. The Focusrite Scarlett 2i4 is the big brother of the 2i2, with the major difference being there are two extra outputs on the 2i4. Similarly, the Scarlett SOLO is the little brother in this family – it features one XLR/jack combo socket for input, in addition to a singular 6.35mm jack socket. Compare this to the 2i2 and 2i4, both of which have two combo sockets. As far as features go, it’s a pretty close contest until you get really deep into the technical specification. The Focusrite devices take the advantage here, as they have higher sample rates and lower latency. The only things missing is a MIDI input/output, but most people will be able to live without that. Evaluating the Focusrite USB audio interfaces on price, the 2i2 offers the best value for money. Not only does it have 2 combo inputs allowing for greater flexibility than the SOLO, it also has two outputs and a headphone connector, which should be just enough for a portable device like this. The extra outputs on the 2i4 make it a more specialist device, and a little higher priced that the 2i2. Overall the Focusrite Scarlett 2i2 is a well-thought-out high-specification piece of kit that should get any musician recording within minutes. Headphones are a must have for everyone from hobbyist musicians and music lovers all the way up to the pros. But headphones don’t come in a single shape, size, or design—there are many differences separating one pair of headphones to the next. Closed-back headphones are all about sound isolation. The general consumer will know closed-back headphones as those that shut out the music around them, leaving their music to be enjoyed in a clear musical environment, unpolluted by the noise from the outside world. Great uses for closed-back headphones are DJs during a live set so they can easily hear the upcoming track for beatmatching, tracking instruments in the studio, or just casually listening to your favorites songs if you prefer a more intimate sound to your music. The Shure SRH440 headphones are a great example of these. Open-back headphones on the other hand don’t block the sound coming towards your ears from the headphone drivers. They let some of the audio escape out of the back of the headphones giving the audio a more “live” sound. Open-back headphones will make your music feel as if it is in your environment with you. Open-back headphones will give an audio representation closer to the sound of a speaker, where the audio coming out of a speaker has to travel through the atmosphere before it reaches your ear. These headphones will give you a similar sound. The AKG K240s are a big seller in the middle price range. One of the biggest components of a pair of headphones that effects sound quality is the size of its drivers. Small earbuds have small drivers around 8-12mm. Higher-end over-the-ear headphones will have much larger drivers, usually between 30-40mm, with some going as high as 50mm and over. You can relate a headphone driver to the size of a speaker. They are generally two main types of microphones that most used: Condenser mics and Dynamic Mics. Dynamics mics are extremely versatile, working well for both live performance and in the studio. They also tend to be less expensive and more durable. Condenser mics have increased sensitivity and require what is known as “phantom power,” which simply means it requires separate power to operate. Most audio interfaces and mixing boards have a button for phantom power, so it’s hardly ever an issue. Condenser mics might be a bit more popular in the studio due to their greater frequency response from their higher sensitivity. Also, they work well in the studio where you have more room to play with your instrument setup, room sound, etc. The Shure SM57 is a cardioid, dynamic microphone with one of the best reputations in the music industry for being an inexpensive, high-quality microphone with extreme durable and versatility. The SM57 is used for both live instrument miking and in-studio miking. A mic’s polarity relates to it’s directionality. A Cardioid microphone picks up sound from the front but not the sides or back. Generally, a cardioid microphone is the best for studio recording or live instruments, as it picks up audio just from the very front of the mic and leaves other environmental sound out. For example, a cardioid microphone placed right above a snare on a drum kit will not pick up much sound from the other drums (also known as bleed) making mixing easier as you can isolate each drum’s audio more accurately, without bleed from other drums on that track. Super-cardioid and Hyper-cardioid mics are variations of the basic cardioid mic. Super-cardioid mics have a narrower front area of sensitivity with a very small rear-end pickup. Hyper-cardioid mics have an even larger rear end pickup, closer to a Bi-directional or Figure-8 microphone, as you can see in the chart below. Bi-directional microphones pick up sound in the front and the back, while sound coming from the left and right sides of the mic are not. Omnidirectional mics pick up audio equally in all directions. These work well as room mics when recording in a live room in the studio. Shotgun mics are generally used for film and TV. Think of boom mics. Like the Shure SM57 for recording and miking instruments, the Shure PGA58 microphone is a dynamic, cardioid microphone tailored specifically for clear and natural-sounding live vocal reproduction. You might not have the access to a high-end studio to record, whether it be financially or logistically. Maybe you have a gig at a location that doesn’t have any in-house soundboard. The Yamaha MG10 Mixer is perfect for these applications. Incredibly inexpensive for a 10 channel compact mixer, it has 4 mic inputs and 10 line inputs (4 mono and 3 stereo), while 2 of those stereo line inputs can be used as RCA inputs. You can’t just use any old speakers in your home studio to listen to your music. Studio monitors are specifically designed to have a flat frequency curve, giving you a much more accurate depiction of your sound, compared to speakers that might be bass heavy or high-end heavy. The Yamaha HS5 Powered Studio Monitor even has specific response controls built for tailoring the monitors sound to your room environment, so you can get the sound just right to how you want it. It’s a high-end studio monitor at a lower-end price. Need a mixer and speaker combo for portable performance? Check out the Yamaha StagePas 600i Portable PA System, a 10-channel mixer/dual speaker combo. 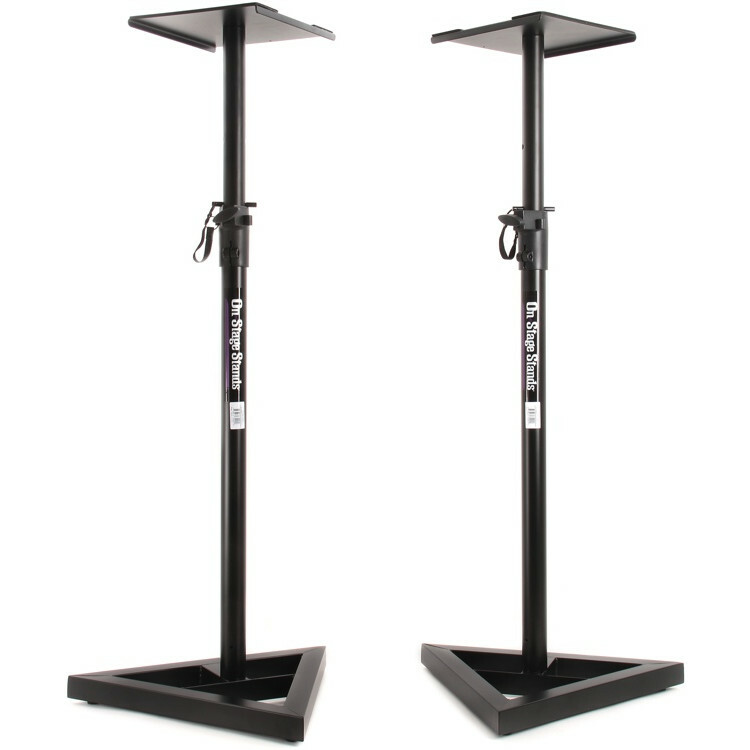 Whether for a full band, a small duo or trio, or even speaking engagements, this is a portable, all-in-one solution. The mixer fits inside the speakers, collapsing it into one small unit with a carrying handle. It even has a USB input to play music off your iPod or iPhone, charging it at the same time. Also, don’t forget your mic and instrument cables, as well as any mic stands and holders you might need. I am pretty sure that the first time you have seen this marvellous instrument on would be YouTube, right? Flashy display, unique button tapping live mode, finger drumming and other amazing features... but mainly colours! I am pretty sure that the first time you have seen this marvellous instrument on would be YouTube, right? Flashy display, unique button tapping live mode, finger drumming and other amazing features... but mainly colours! At first, the Launchpad was capable of three colors and two blended colors with varying levels of glow (red, yellow, green, orange, and yellow-green to be exact). At the time, it presented a unique control scheme as well as plug-and-play functionality with Ableton Live; something more high-priced competitors like the Monome couldn’t offer. Over the next few years, the little grid controller was seen as a must-have after producers like Madeon proved it to be an effective live instrument and production tool. As time went on, limitations like low-brightness LEDs, a range of only 5 colors, and a lack of velocity sensitivity were met with criticism. Whereas, the introduction of the Ableton Push seemed like the ultimate demonstration of what people wanted in a drumpad-based workstation, notably including the signature 8x8 Launchpad-esque grid. While the Push offers tons of scale modes, a screen, encoders, and enough functionality to make QWERTY keyboard shortcuts obsolete, it isn’t portable enough or cheap enough to reach the same masses of producers and performers as the Launchpad. 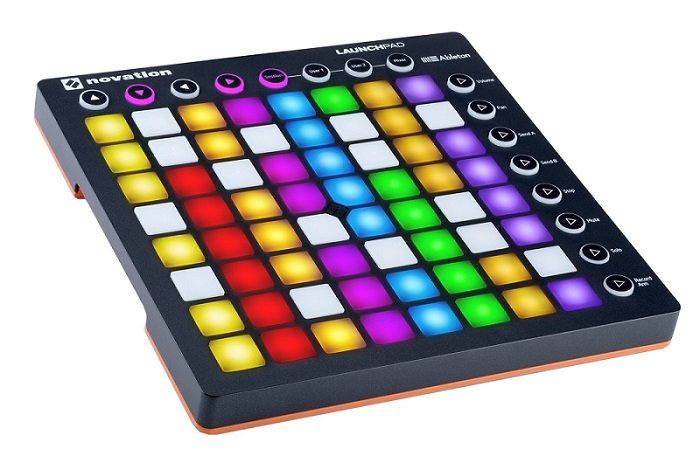 Now, Novation has the Launchpad Mk2 and Launchpad Pro once more pushed the forefront on what it means to be stylish, functional and reasonably priced. As we all know, the eye candy features of any product in market gains a lot of popularity. So just go on and combine bright lights with music and wait for the magic to happen! It seems that novation had the same idea (a looooong time before I had it... obviously!) hence they made the most impressive change in the new line of Launchpad; the vibrant colour palette. From deep dark reds to vibrant violets, a full spectrum of expression is at your fingertips. But what’s so great about the colour improvement anyways? 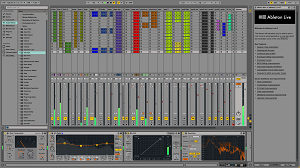 Well, it allows you to determine what clip is being played or recorded through its correlating clip colour in Ableton Live. This means you can close the laptop lid and get lost in the music, or at least navigate a live set without having to read tiny text on your computer screen. Smart eh? Oh yeah! Additionally, the pads can be fed RGB data via note velocities, allowing you to program your own lightshow that can help you enhance your performance. Other aesthetic changes include the Novation logo in the middle of the grid, USB and other ports being moved to the top of the device, and recessed parts of the case making the device easy to grab off the table. It also features a separate RGB LED at the base of the unit. However, these are not even the bread and butter of what makes the Launchpad so useful. So don’t just imagine read on! Well, all the show, colour and glitter are all fine and dandy; what about its functionality? Can I shed some light on that? Well of course... The diverse modes and styles of control offered by the Launchpad are vital and useful for anyone working with digital music, either as a performer or producer. The skill to quickly change recording modes, volume levels, bus/send channels, soloing, and panning, allow for the user to stay on the Launchpad and keep their hands off the keyboard. This allows for the Launchpad not only to function as a drumpad, but a fully capable and portable workstation. With the Launchpad Pro, you also gain access to metronome, delete, quantization, duplication, and dedicated record buttons, which allows for Push-like control over Ableton and other software. In addition, the Launchpad Pro model has velocity sensitive pads, making any instrument have a varied dynamic range. As far as other special features go, the Launchpad Pro has scale and chord features much like those seen on the Ableton Push. This offers unbelievable range in a very small form factor which is achieved via a guitar-styled “fretting” where notes overlap from row to row so that the hand can move vertically or horizontally to play (unlike a piano which only allows for horizontal movement to change range). But...how much does it cost ? Trust me, its affordable. Check this out here. With new features, brighter and more expressive pads, the option for velocity control, and scale/note mode, the Launchpad line has finally grown out of its shell and into something better. Some years ago, the Launchpad was something radical, new, and defined a whole new form factor and approach to music. Now it has borrowed from the devices which borrowed from it and is back to stay as the go-to, low-budget MIDI controller for electronic music, either in the studio or on the stage.